Most residents of San- Francisco hail from somewhere other than the city. Since its founding, the Bay Area has been a landing spot for people from all over the world. It is one of the things that makes our city great. Eight years ago, I joined the incoming throngs. I arrived in San Francisco ready to start a new job, in a new city in a new state. I soon encountered the biggest challenge to everyone who moves here: housing. I moved here with a partner and three dogs. We moved from a 4,000-square-foot loft/studio in Texas to an 800-square-foot apartment with a roommate. Then there was the challenge of getting a residential parking sticker! 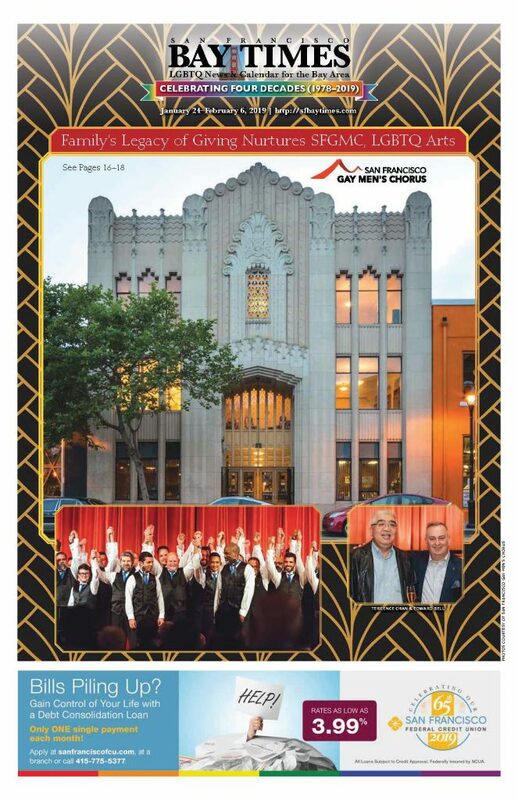 The second shock was the real estate needs of my new employer, the San Francisco Gay Men’s Chorus (SFGMC). The chorus has struggled for its entire existence to find suitable rehearsal, office, performance and storage spaces. 1978 was an exciting year for the chorus to launch, but it was also the beginning of 40 years of wandering in the real estate wilderness of the Bay Area. 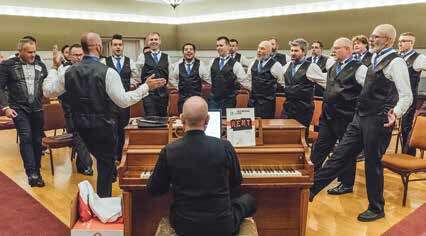 In my eight years, the chorus rehearsed at the Kanbar Center at 44 Page, First Unitarian Church, Mission High School, First Congregational Church, Everett Middle School, Bahai Center at 170 Valencia, Academy of Art at Union Square, Laguna Honda Hospital and others. Among those, our favorite was the Bahai Center. It was fantastic. It fit our needs like a glove. Then the owners decided to put it on the market and we had to move out. The chorus had experienced the same itinerant status over the decades prior to my arrival. Many weeks, the location for events seemed like a “Who’s on first?” scenario. Singers, not having read the fine print, consistently showed up at the wrong place for rehearsals. The only permanent address the chorus had was our U-Haul storage unit. Office space was no better. The chorus has had offices from peoples’ homes to above “Sit and Spin” laundromat, to what is now the current Soul Cycle spot at Castro and 18th. When I arrived, the administrative offices were at the LGBT Center and the artistic offices were across from Costco on Harrison. We eventually moved into the Harrison space before being evicted to make space for a start-up. We landed in a fabulous spot in the Castro above Wasabi Bistro. Performance space is a completely different topic. We travel the entire Bay Area for our approximate 60 appearances a year. The 40-year wilderness continued. As gays, many of us have experienced displacement in our own lives. This may have come as the result of coming out. It may have been as the result of searching for a logical family and a place that felt like home. Or, it may have come at the hands of an economy and cost of living in our city that finds people moving from place to place just to find affordable housing—or a new set of roommates. Regardless of the reason, it leaves a mark! There is an insecurity that comes with not putting down roots, not knowing exactly where you might live next or how soon that might come. That is how it has been with SFGMC. It has had no place to call home for all of these years. You may remember the earlier mention of the Bahai Center, where we rehearsed off and on for four years or so. You may remember they put it on the market. From the moment we had our first rehearsal there, everything seemed to fit our needs. We knew we could never afford such a building, even though we felt the building was perfect for us and, interestingly enough, the Bahai folks really wanted us to have it. We shared a core value in our mission. They absolutely love what the chorus does in the world. But there was that price tag thing. Regardless, we began to dream of what it would be like to be in one place. Executive Director, Chris Verdugo and I first visited with the realtor, and then our board. The months went by. We kept dreaming and talking. One of our founding members who was present at the very first rehearsal, Terry Chan, had followed the chorus to every venue listed above. He knew firsthand the impact a permanent home would have. Six months into doing our due diligence, Terry and his partner, Ed, stepped in with an anchor gift toward the project. With their generous gift, there was no turning back. Fast forward another seven months of contracts, inspections, appraisals, insurance, zoning and more. On the night of January 14, Keith Pepper, our board chair, stood before the chorus—in the rehearsal hall at the Bahai Center—and announced that the chorus had “bought the building you are sitting in!” You would have thought the 49ers had just won the Super Bowl! Oh wait, our dream was actually coming true! It was as if 40 years of pent-up angst was suddenly released and 300 bottles of champagne popped all at once. There were cheers. And tears. And hugs. And new dreams—not of finding a home, but of what we could now do with and from our home. Terry was there to share the story of his grandfather coming to this country as an immigrant and building a life for his family. He spoke of his family teaching him the importance of hard work and of giving. And, he spoke of the day he remembers too well in 1978, when as a young gay man, he saw a flyer for a new gay chorus on a telephone pole in the Castro. He joined. He was there at the chorus’ first public appearance at the candlelight vigil for Mayor Moscone and Supervisor Harvey Milk. And there every step of the way since. As the thirteen months of planning progressed, the chorus was also completing a 5-year strategic plan. It could not have been better timing. The firm doing the plan encouraged us to dream big and to look at the impact that the chorus has not only locally, but also nationally and internationally. Having a home for the SFGMC was beyond our wildest imagination, but our thoughts turned to what we could do with the magnificent resource that would make a larger impact on the world outside of the Bay Area. We are absolutely thrilled to dream of what will be. We are grateful to every single person who has had a part in supporting the chorus across the years. We stand on the shoulders of those who have gone before and who no longer have a voice to join in our song. 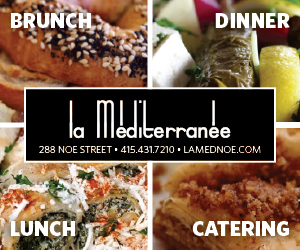 Our permanent address has now changed from U-Haul storage to 170 Valencia. We have found our promised land! And are moving in! 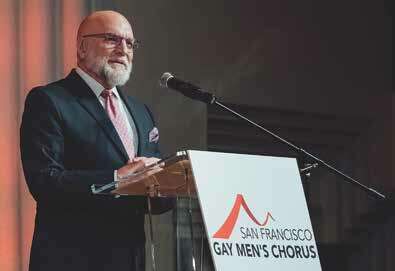 On January 17, the San Francisco Gay Men’s Chorus (SFGMC) announced that the first ever National LGBTQ Center for the Arts will open in San Francisco. 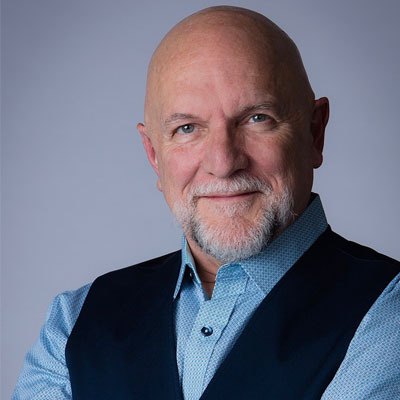 With a primary focus on performances, public programs and community partnerships, the Center will provide a space to bring the arts community and SFGMC together. Purchased for $9.6 million, the new Center will house a cutting-edge media center, provide a creative space for LGBTQ artists, serve as a meeting location for community leaders, host trainings and internship programs and more. Located at 170 Valencia Street, the Center will mark the first permanent home for SFGMC since its inception over 40 years ago. The four-story building, which will undergo significant renovations to modernize and adapt its use for a performing arts organization, will allow SFGMC to embark on never-before-possible programs. 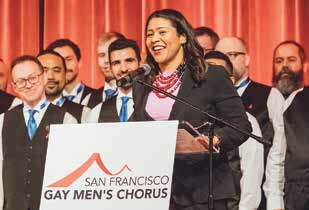 SFGMC will soon be able to host ongoing master classes and an interview series with notables such as Award-winning composers Stephen Schwartz and Andrew Lippa and actress and singer Laura Benanti, community sing-ins, a new and exciting virtual reality experience and a recording and production studio. 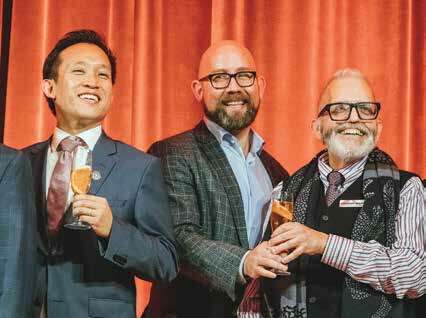 With its new home near the Castro District, SFGMC will remain deeply committed to the San Francisco area by continuing and creating new meaningful local partnerships and working with students from various San Francisco schools. SFGMC will also maintain and expand its national presence through extensive external programs. The Chorus’ national work includes the expansion of RHYTHM (Reaching Youth Through Music), an immersive workshop series aimed at inspiring students to live their most authentic lives, and the new tour of “It Gets Better,” a community residency and performance program produced by SFGMC in collaboration with the It Gets Better Project and Speak Theater Arts. 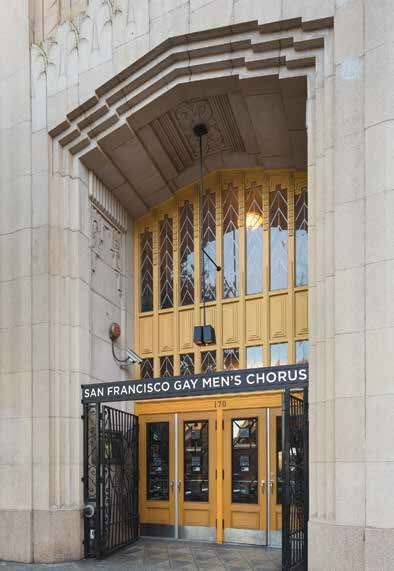 While a campaign to cover the cost of purchase, renovations and a supporting endowment fund will be announced in the future, Chan—a founding Chorus member—made a leadership gift of $5 million toward the cost of buying and renovating the space, and the SFGMC Board has pledged an additional $1 million.